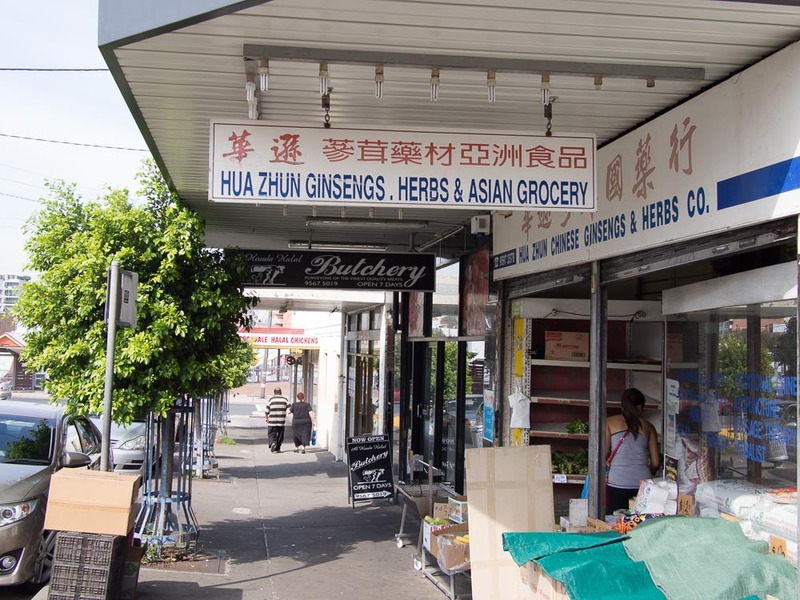 We stumble upon a super duper friendly little Filipino resto/grocer/catering store in Rockdale. 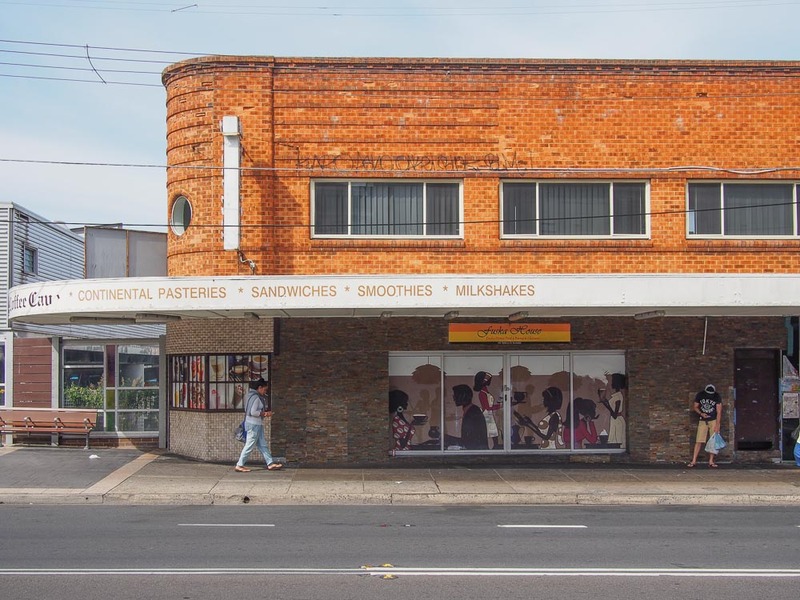 If you're into our style of eating we highly recommend a waltz up Walz Street in Rockdale (I'm sure no-one has ever used that line before), there's a bunch of great stores and a couple of eateries. In fact the whole area around the train station is well worth a wander. 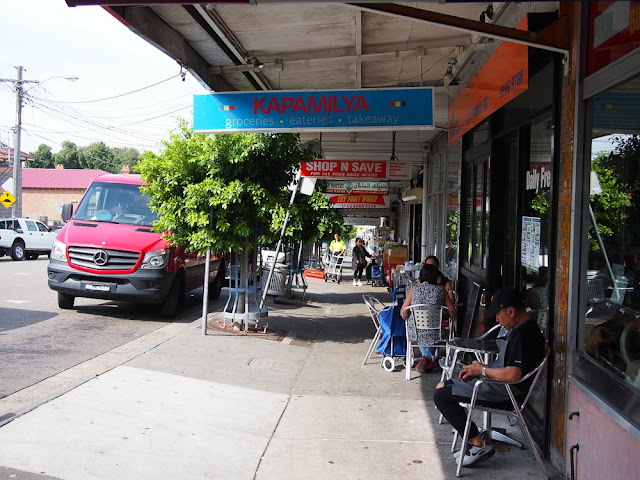 On a sunny autumn Saturday morning there's a lovely buzzy and very mixed community vibe. Kapamilya is like many Filipino joints in which we loiter, a little grocery store with a bain-marie-of-love and a couple of tables for eatings of happiness. Catering seems to be their main gig, you can buy sisig by the bucket load. We get the good old two-choices-with-rice for $12. To the left we have choko with a little pork. 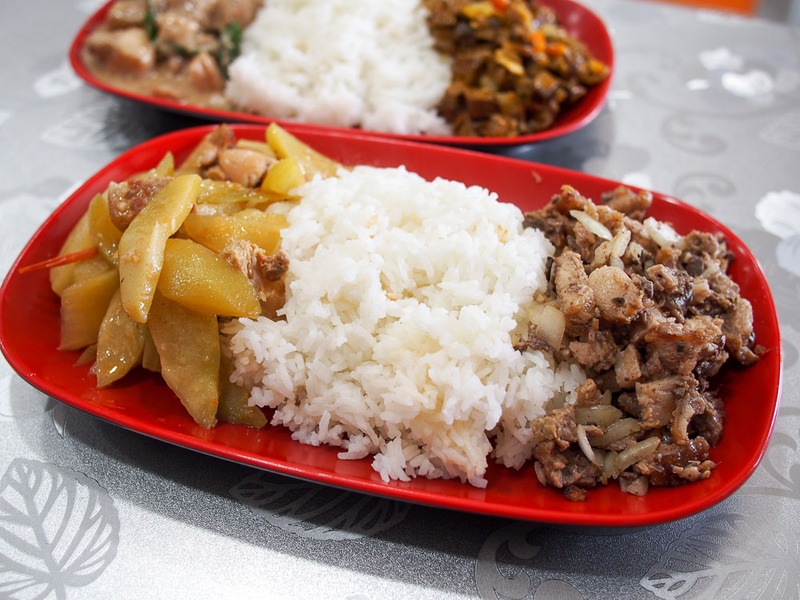 On the right we have sisig, the classic dish of pork head and liver. The choko is great, it's the world's most underrated vegetable. And holy moly the sisig is a humdinger with a smoky bbq-ness and barely any offal funk. Some bites come with a little crisp skin crunch too. We've only had a few sisigs in our life but this is our favourite so far. The dish on the left is like a very mild Thai coconut curry made with pork. Well it's mild until you chomp on the green chilis, just steer clear of the green bits if you're not into heat. 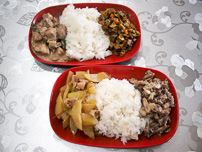 The dish on the right was described as chopped liver and lung, called bopis. It had a good funky ofal-ness to it, a flavour Alison loves and Mr Shawn is getting more accustomed to. The meals don't look particularly huge but lordy, we walked out stuffed. 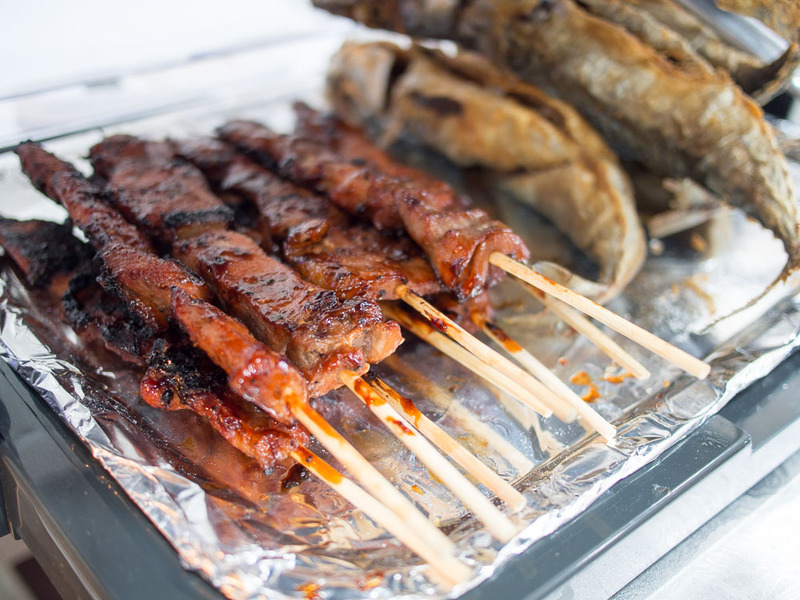 Grilled stuff on sticks. Party time! 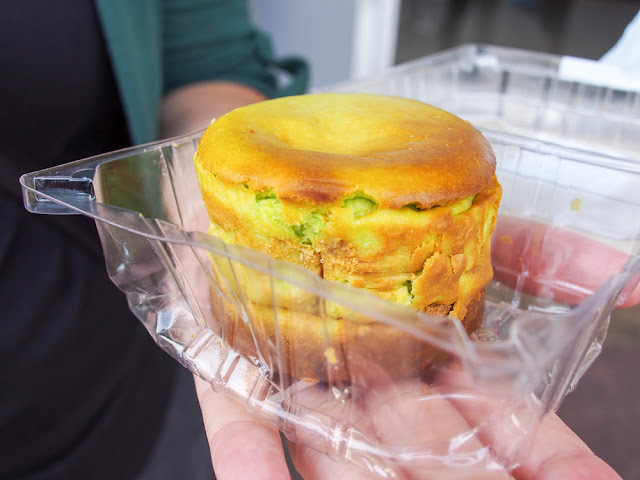 We grab a pandan cheesecake to go. It's quite a dense cheesecake with a thick biscuity base, quite different. We dig. We're back for more Pinoy a couple of weeks after the original post. 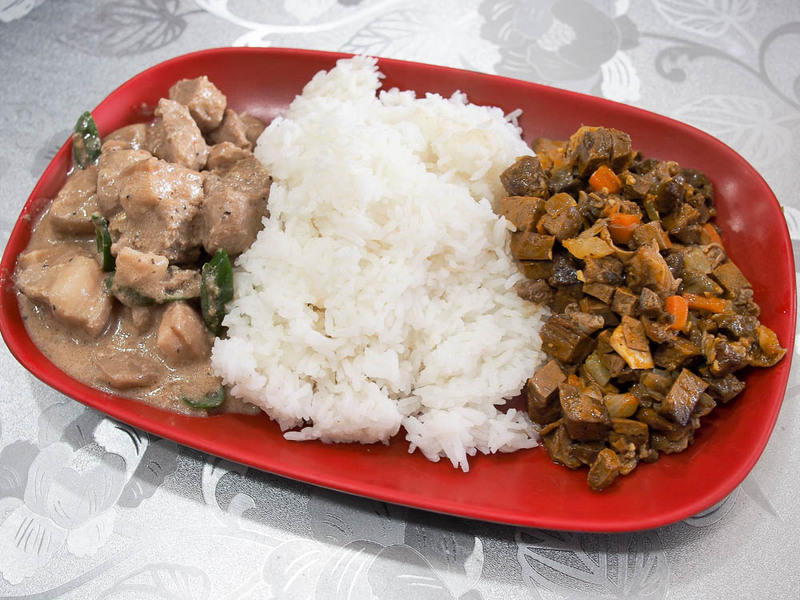 We strike gold - kare-kare is in the bainmarie-of-love today. 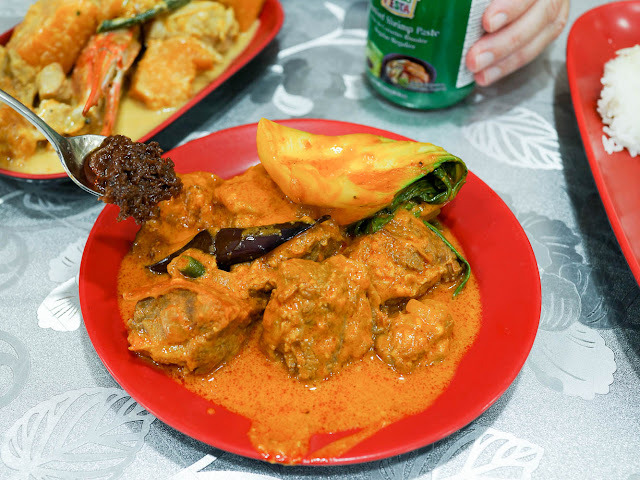 We had this dish in Manila and didn't understand it - then a Filipino colleague tells us that kare kare should be eaten with bagoong, a ballsy shrimp paste. Man it works - the peanuty curry and the funky fish paste work wonders together. The surpise hit of the day was this crab and pumpkin curry. 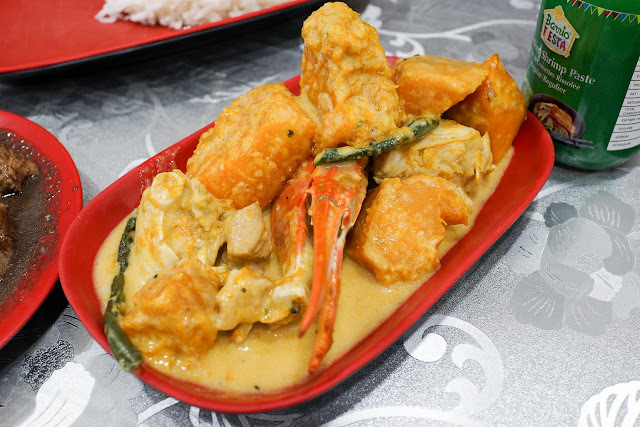 The heavenly moment is sucking on the crab claws getting flesh soaked in coconut-creamy sauce. Oh mama. This is a real easy eating crowd pleaser, highly recommended. 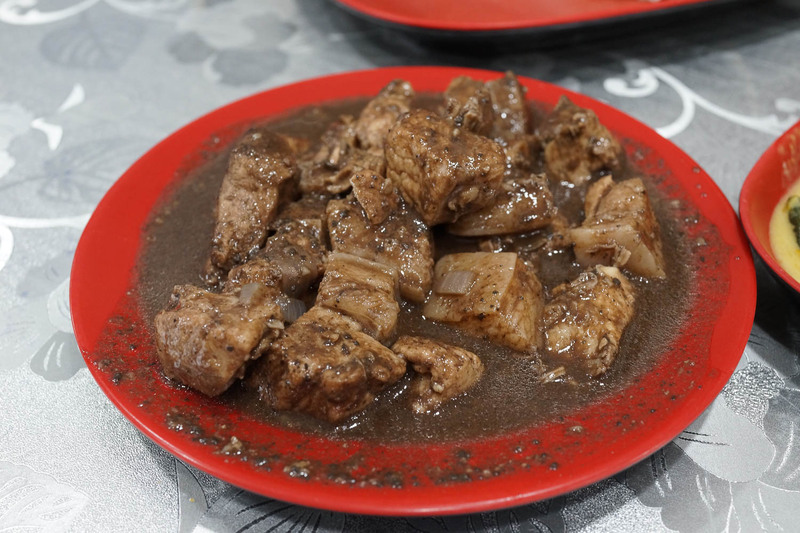 Getting back on the funk train we get dinuguan - pork blood stew. 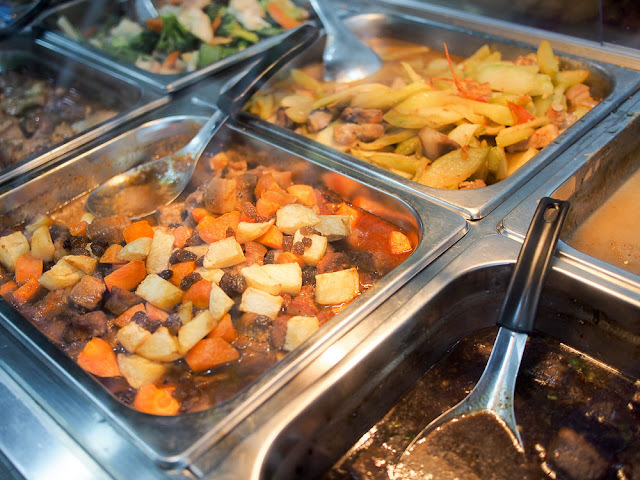 This dish differs greatly in funk level wherever we go. Sometimes it's not very funky and tastes almost like butter chicken. Today it's mid level funky, it's rich and goes a long way. These three dishes and rice cost us about $22, including the crab. It's insane value and very filling, it took us most of the day to walk this feed off. 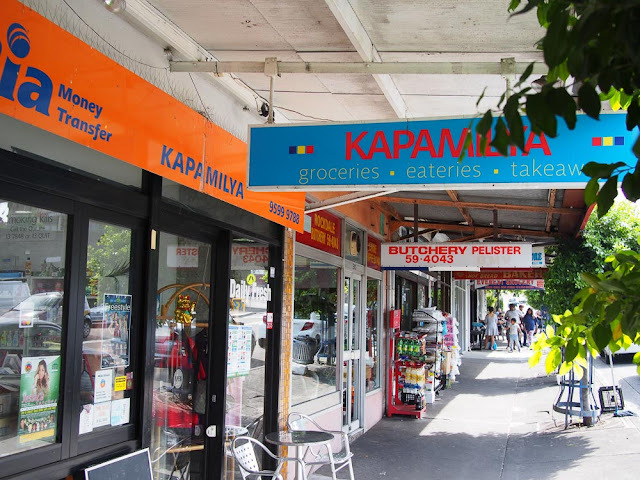 For folks wishing to dip into Filipino grocery store cuisine for the first time Kapamilya is a great place to start. 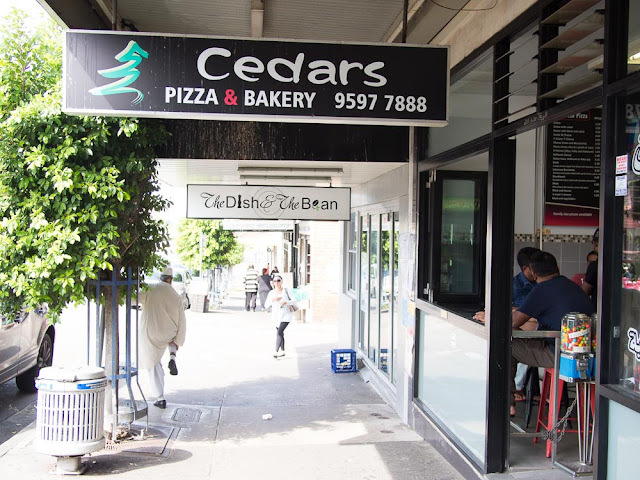 The place is bright and cheerful and the folks that run the place are super friendly. And man, they like to laugh, it was one of the happiest eating experiences we've had in quite a while. More joys of Walz Street. 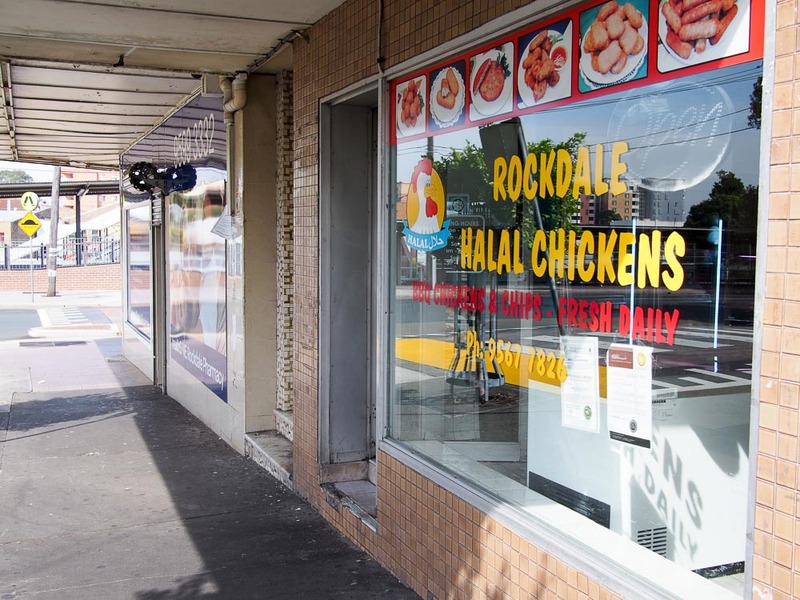 There's some lovely urbanity around Rockdale Station, enjoy it now pre-gentrification. You know it's gonna happen, it's only a matter of when.